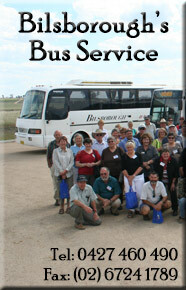 For all enquiries or to make a booking contact: Margaret & Chris Butler: 0427 241 300. 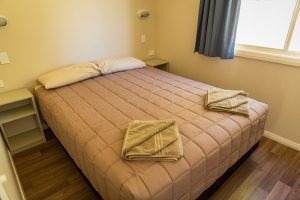 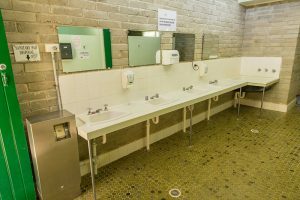 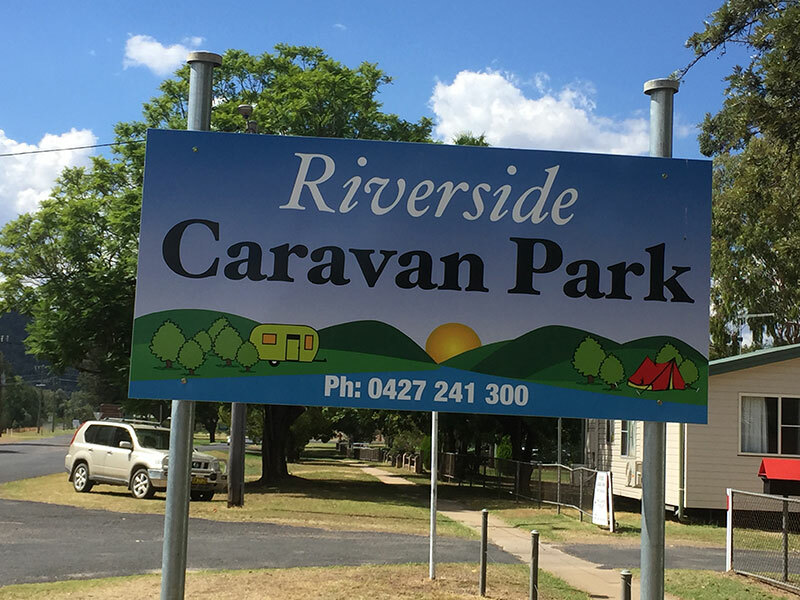 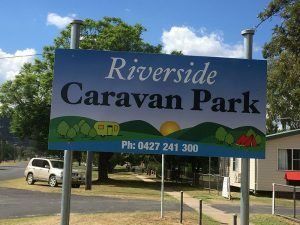 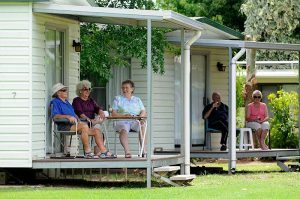 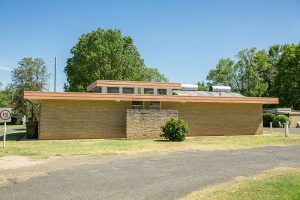 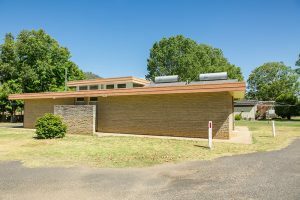 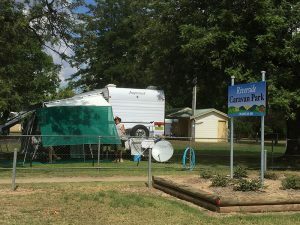 The Bingara Riverside Caravan Park is situated in an idyllic position opposite the Mighty Gwydir River, next door to the Swimming Complex and within walking distance to town and Batterham Lookout. Set among exquisite matured trees, just the right amount of shade is provided all year round. 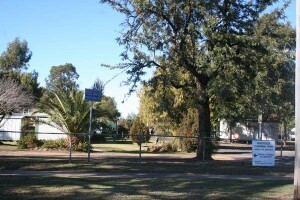 Spring is particularly picturesque as the Jacaranda trees lining Keera Road, create a canopy and carpet of lavender as you approach the park. 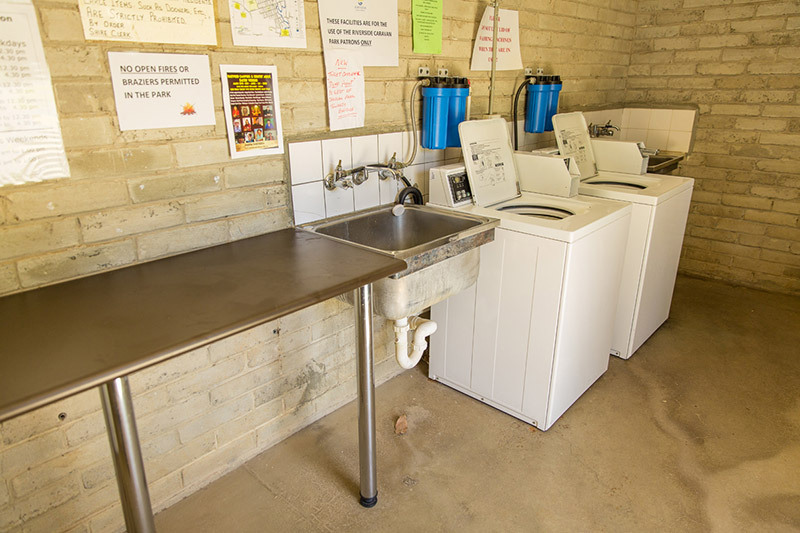 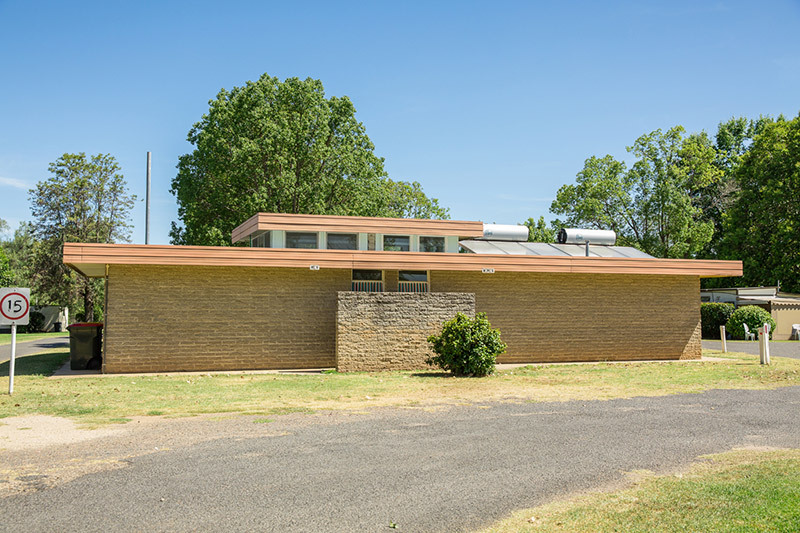 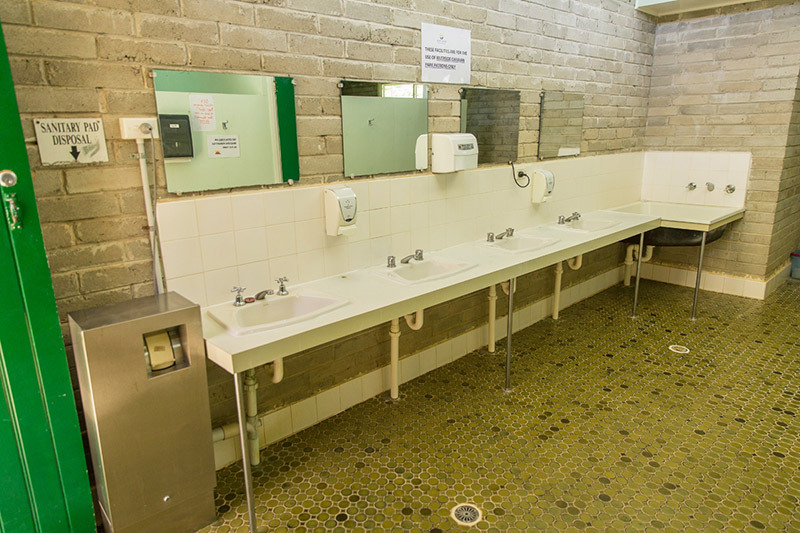 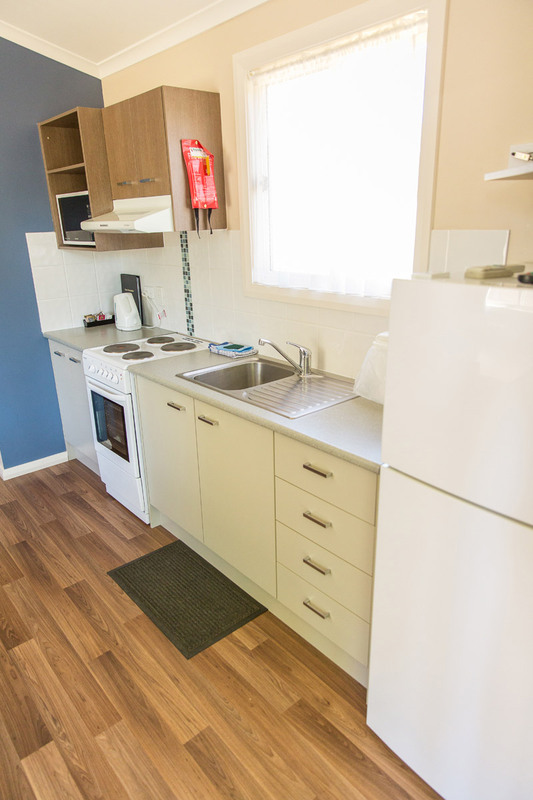 A modern sewered amenities block, complete with laundry facilities is centrally located within the park. 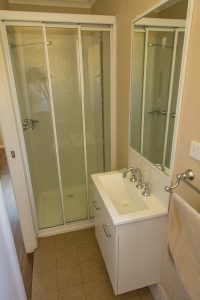 Shower and toilet for disabled visitors. Electric barbeques are provided free of charge. 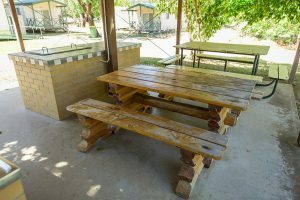 A Caretaker is there to assist and the Park operations are designed to ensure that the amenities of the Park can be enjoyed by all residents and visitors. 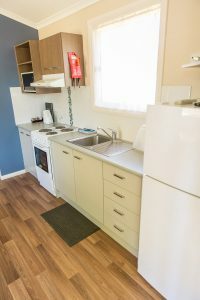 Pets are welcome, provided they are kept under control and on leash at all times. NO DOGS allowed in cabins. You’ll find us next to the swimming pool on the Copeton Dam Road. 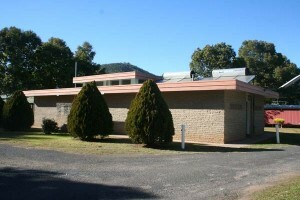 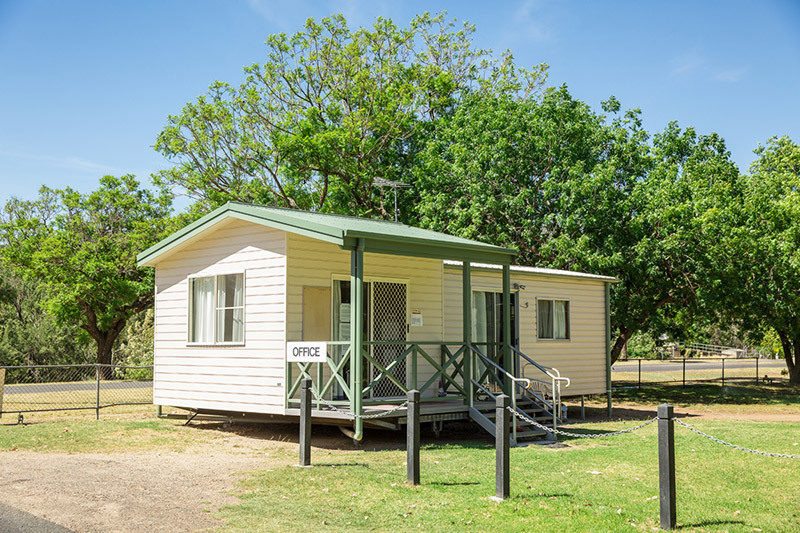 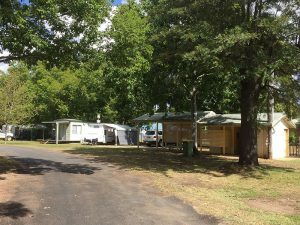 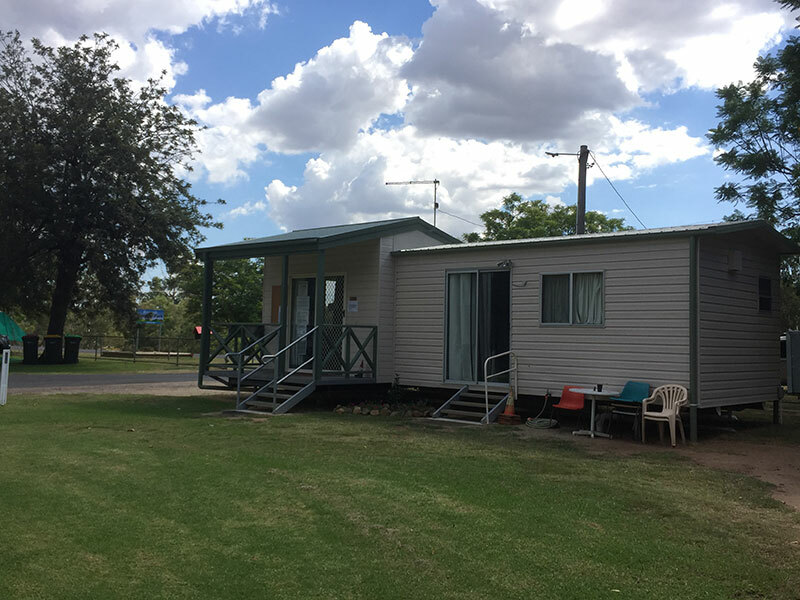 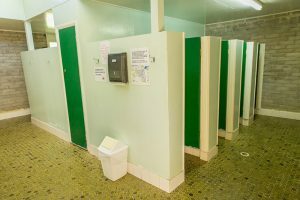 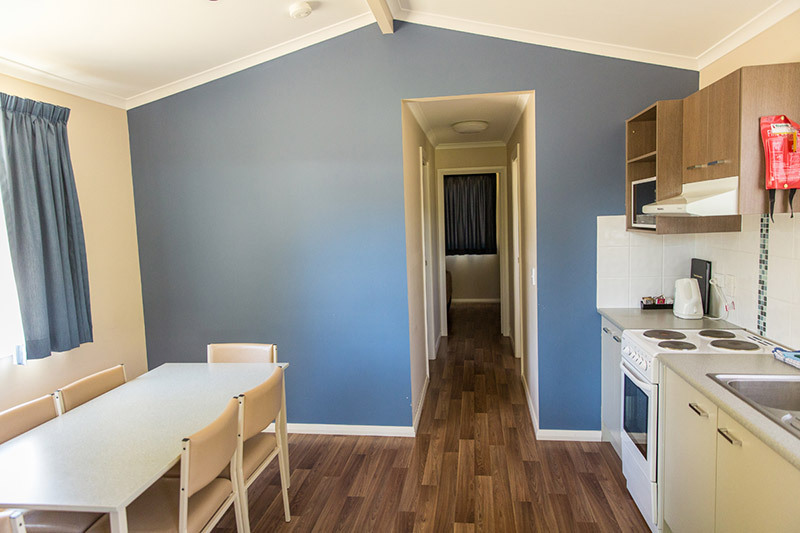 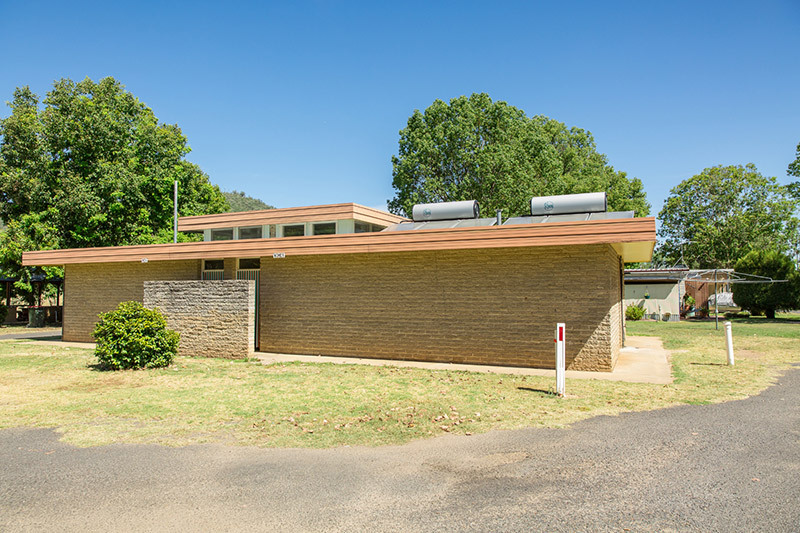 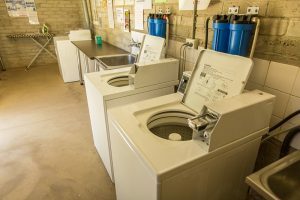 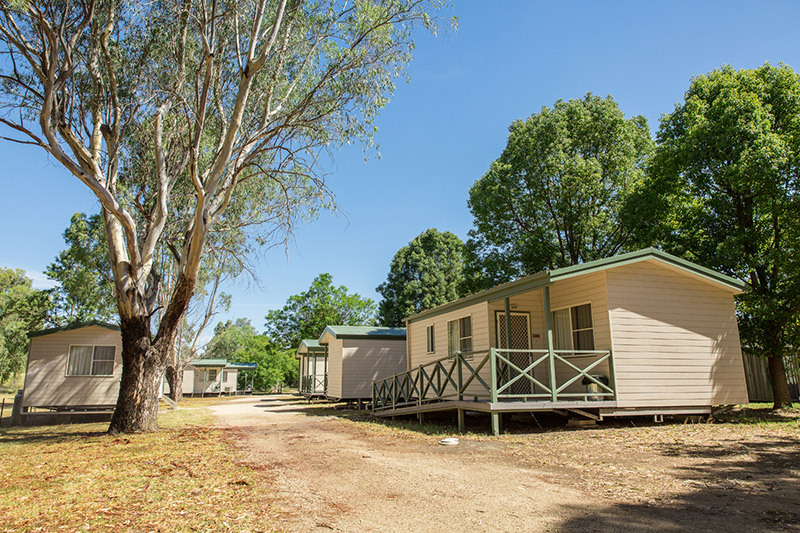 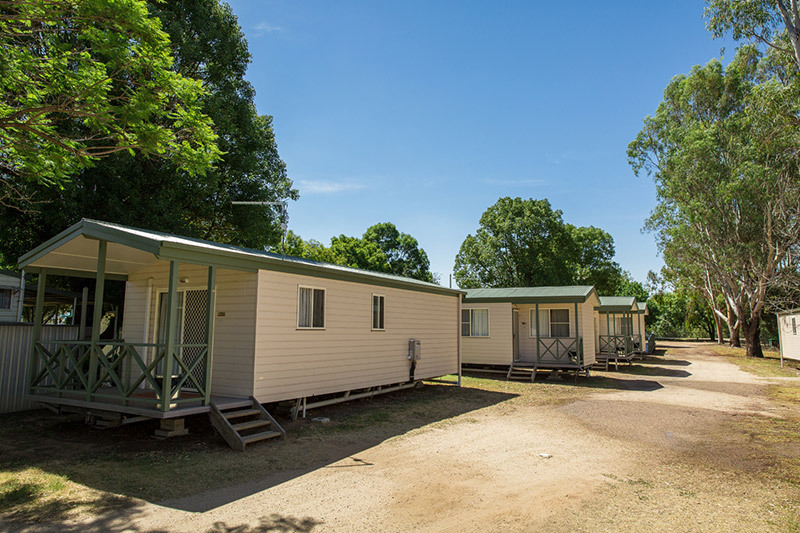 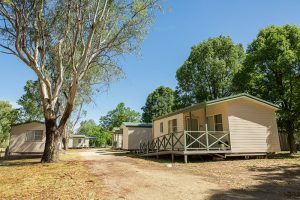 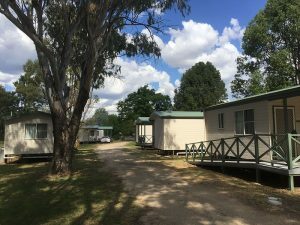 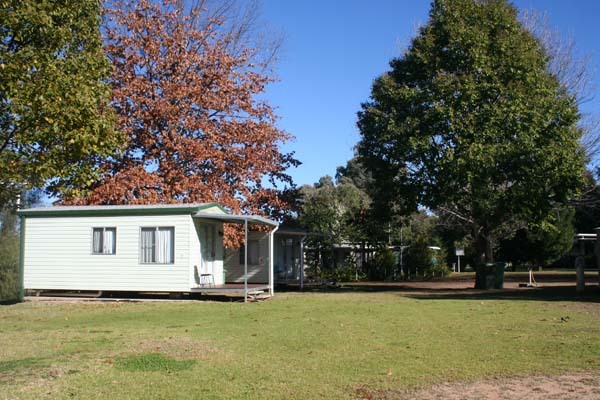 Bingara Riverside Caravan Park currently has 14 on-site cabins. 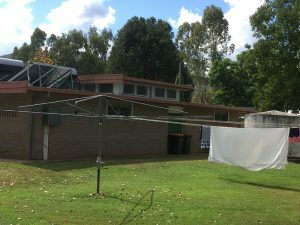 6 Standard and 8 Deluxe. 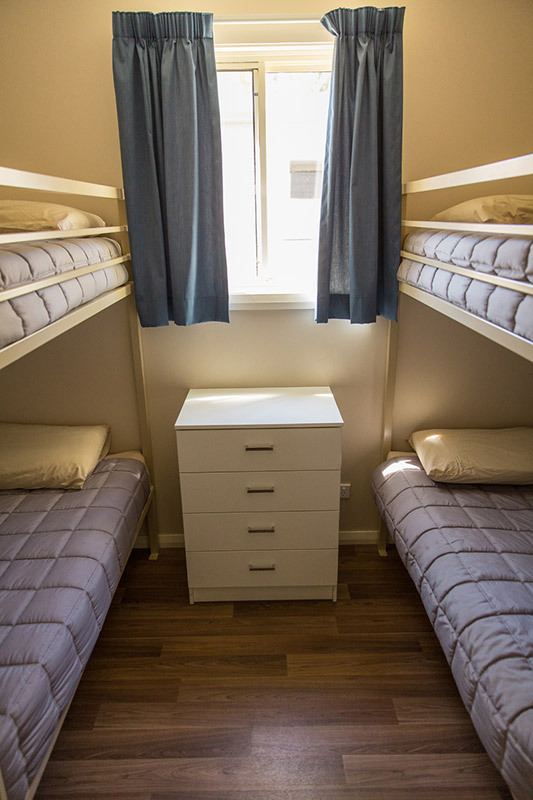 Standard cabins offer an open-plan design whereas the new Deluxe Cabins have separate bedrooms. 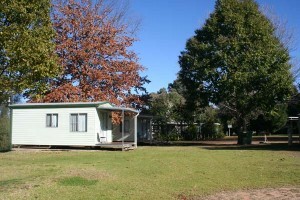 6 Berth Cabins have a 2 piece outdoor setting. Full linen: sheets, blankets, towels, tea towels. 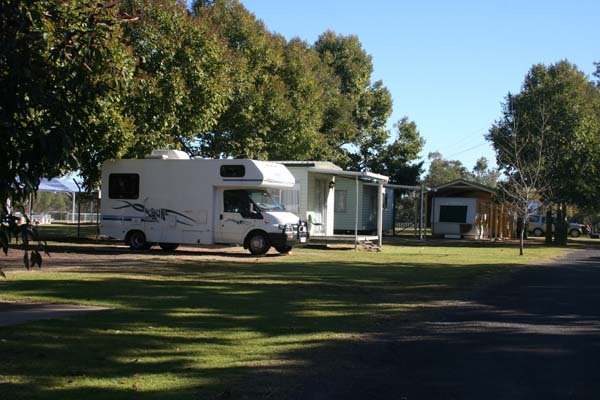 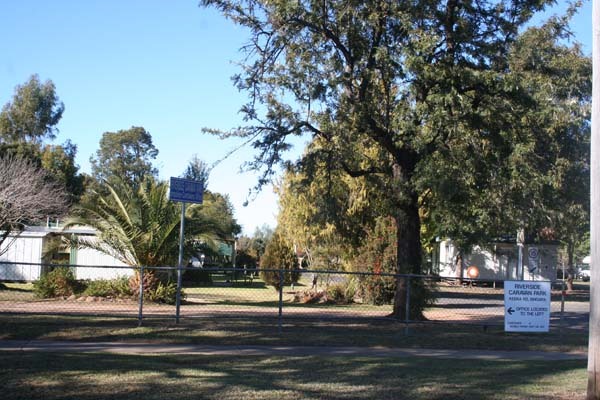 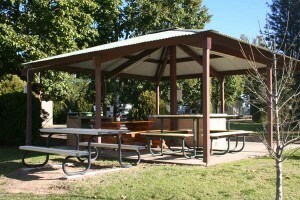 Bingara Riverside Caravan Park has level grassed sites available for your caravan or tent.